Another quiet session for Asia with closes small mixed. Toshiba was again a talking point after it lost 12% in todays trading with the added possibility that it may delisted. China’s President, Xi Jinping, commented recently concerns surrounding President Trump and his views surrounding US trade partners; guess this will be hotly debated come the weekend. Core cash markets upon the FED announcement (+25bp) late this evening saw Yen strengthened with Nikkei trading lower. The China 300 and Hang Seng futures both traded better around 1% and +0.6% respectively. Europe was also quiet, but better ahead of the FED decision and that just accelerated after the announcement. Last seen was the DAX, FTSE and CAC all trading better with only IBEX trading lower, but then the cash index had been the better performer earlier in the day. FED Chair, Yellen, did repeat that they remain data dependant but it will be extremely difficult holding rates unchanged as the flow of capital continuing to flow into the USD. Bunds also saw a strong rally on the announcement, but trading off the back of the Treasury market after 10yrs dropped towards the 2.50% level. Three rate hikes are the expectations we hear now but there is always the give or take one more! This is not a reassessment she made very clear. That is certainly what both the treasury long end liked but also so did the equities. Whether GDP growth is there or not they will not be able to ignore fresh highs in such a broad based rally in stocks! Gradualist or not, if the large infrastructure plans the new government are rumoured to be preparing are announced, the curve flattening will take little time in reversing and 10’s will be pushing with a 3 handle. 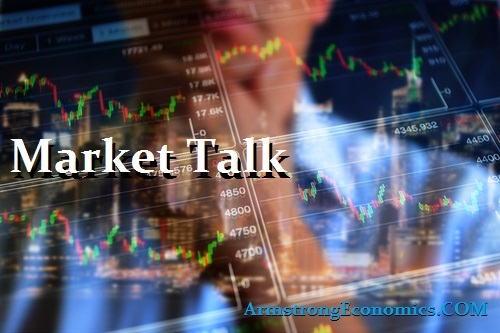 The net result of the FED hike for the US equity markets was a broad based rally with good volume increase coupled, but for the bond market, it a little more dovish than expected. Energy, Real Estate, and Utilities were the better performers on the day. Gold also liked the dovish message which helped A$ and miners. US 2’s closed 1.30% (-7bp), 10’s at 2.50 (-11bp), Bunds at 0.41% (-6bp) and closes 10/10’s spread at +209bp (-5bp). France closed 1.03% (-5bp), Italy 2.28% (-7bp), Greece 7.13% (+15bp), Turkey 10.99% (-1bp), Portugal 3.94% (+2bp) and UK Gilts 1.21% (-3bp). Note that the majority of peripheral Europe closed ahead of the FED decision publication.